The Indians were "rumored" and talked about in having interest in signing a reliever with closing experience. There's still a lot of names out there that have closing experience, so there interest could have spread far and wide. The fact of the matter is that interest is one thing, a finalized deal is another. The Indians came through on that "interest" and firmed up a deal with Axford on Sunday. While the signing is pending a physical tomorrow, it has all but been officially signed and the former Brewers closer will earn $4.5 million in 2014. There is no second year option, and he could earn another $1.75 million, but you have to consider this quite the steal if Axford can come in and be what he was just a few years ago. A few years ago was 2011 when he was the man ending things for Milwaukee in their postseason run. He saved 46 games and had an ERA under 2. He only blew five saves between 2010 and '11 but in 2013 he fell on some hard times. Which is why he is in the position he is in. Milwaukee moved on from Axford earlier in the season after a rough 2012 and a continuation of that struggle in April. 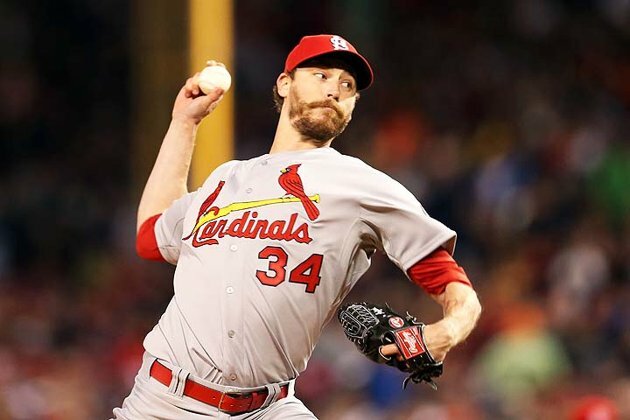 He went on to pitch for the Cardinals and had seemingly regained a little of what he lost to the tune of a 1.74 ERA in 13 games. Now that's a small sample size back on the major league level, but it definitely feels like he's at least on a better track. That being said, enough to thrust him back into the closer's role? Well, I don't think that is completely automatic. There will be a few guys vying for that job in the spring, including Axford, but I think you can at least count on him being the favorite at his juncture. And really, this move, in the grand scheme of what worked for the Indians last year, and in what can make them better, this move fits. "That one guy can make your whole bullpen so much better. So many times you get a save situation, it could be a three-run game with nobody on and the game's already been lost in the seventh or eighth. Same thing [with Shaw]. He could do it in the ninth, no doubt. But, what he does earlier is valuable." Francona is talking about Cody Allen and Bryan Shaw. You have a guy like John Axford at the back end, then those guys are valuable because they're shortening the game. I think the days of your shutdown closer are gone, you have very few of them that you can rely on in a year-to-year basis. However, more times than not, it makes sense to have a guy at least designated as your ninth inning guy. And if he ends up having a year like Axford did in 2011, then all the better. The Indians didn't get stellar production out of Chris Perez last year. They didn't get horrific, but they could strive to do better. And when you look at the money, and how it is going to shake out, this is quite the calculated risk. They're gonna pay Axford $4.5 at the absolute worst. Last year they paid Chris Perez $7.3 million. They paid Joe Smith $3.15 million to set up. Add in Matt Albers and his $1.75 million dollars and Rich Hill at his cool million and you have $13 million-plus devoted to four guys in your bullpen. You just signed one guy to a fraction of that and he could be your main guy in the back-end. The Indians will have less invested in this year's bullpen than they will last year and while it comes with less certainty, you're talking about one of the least reliable aspects of a baseball team. The Indians have young arms ready and waiting, chomping at the bit for an opportunity. If Axford does not work out, or at least isn't closer worthy, it isn't going to be that much of a sunk cost. The Indians are investing in the bullpen with youth, so this $4.5, maybe $6 million that they'd pay Axford is hardly a bad investment. If anything, it is financially backing the youth. The entire bullpen may average out to roughly the same, if not more that Axford will make alone. It's a logical move. And if you believe what a lot of the guys who like stats say, Axford is a good guy to take a chance on. He's a prime bounce back candidate, and he's got stats that prove the kind of stuff he has and what he's capable of. In addition to all of that, he's a class guy who is regarded as a good teammate, which will only be another plus in that Indians clubhouse. After some of the sourness that was left with CP and his teammates, I don't think Axford will rub anyone the wrong way. Remember that Scott Kazmir piece I did last month? We talked about those guys like Millwood, Pavano, and compared that whole situation to what the Indians were looking at Scott Kazmir. Well, the Indians are going to go at it again. These moves don't always work out, but if you take the opportunities and make sound decisions, they can often work out like Pavano and Kazmir. The Indians are hoping that is the situation is right and they've hit on another one with Shaun Marcum. And, they're hedging their bets. Behind Masterson, Kluber, McAllister, and Salazar they've got got Carlos Carrasco, Josh Tomlin, Trevor Bauer, and now Shaun Marcum. When you make smart investments that do not cost you much, it makes it easier when they don't work out. It makes it almost inconsequential when you have those investments backed up with options that do work out. The Indians inked Marcum to a minor league deal. And it isn't just one of those "minor league vets" that they like to sign, this is a guy who was a major league last year and would probably get another contract if an injury didn't end his season early. Marcum will make $1 million if he makes the roster, and can earn up to $4 million total if he reached incentives. The Indians will be fine if he makes those incentives, it means really good things. Marcum's injury is... well, I don't really know where it is or what it is. It's described as something in between the collarbone and the ribs. Marcum had surgery in July for a "thoratic outlet syndrome" and is expected to at least be ready to compete in the spring. So there's that. I'm sure we will find out more about Marcum's situation as spring gets closer. While I think the Indians would prefer that Carlos Carrasco win a spot, and not only win a spot, but thrive, you can't bet on that. You can count on him contending, but you can't make any guarantees. So the more options the better. And as I say every year, and I'm not breaking any news or telling you anything that no one else knows...but an entire rotation does not make it through the year intact. There really are 7-8 arms in a rotation and you really need at least six capable guys, if not more, if you want to succeed over the course of the entire year. But yet another low-risk attempt to maximize the output. And even amongst all the the talk, the Indians are quietly addressing their immediate needs. Speaking of quiet moves... The Indians did something interesting over the winter meetings period. They signed, or rather re-signed David Cooper to a contract, a major league one at that. Cooper is a first baseman who was with Toronto until he had surgery that disrupted his once promising career. The Indians scooped Cooper (Cooper scooper?) up on a minor league deal last season and he went through the minor league rounds for a few weeks. He ended up not getting promoted and was released later that month. And now he's back on a major league deal. It seems kind of curious, but with his little major league experience he has hit .300 and in his experienced minor league career he is also a .300 hitter. So there's a reason to believe there's something there and the Indian want to try and see if they can take advantage of that. The Indians added a few more guys on minor league deals in addition to Marcum. Matt Carson was re-signed to a minor league deal and he will be back in spring training with the Tribe. They also added Tyler Cloyd and Travis Banwart to the mix with minor league deals, Cloyd also being re-signed after he was jettisoned earlier this offseason. And in addition to Cooper, the Indians added infielder David Adams to the major league roster with a big league contract. This is a bit more curious as Adams, while the same age as Cooper, just made it to the major leagues this past season and did not have much proven success. Cooper, however, has some versatility with the ability to play third, second, and first base. Perhaps a little bit of insurance depth with a little concern with bench contender Jose Ramirez in need of surgery on his left thumb. Ramirez will be out for two months, with no activity, after he had to have "thumb reconstruction" surgery on a ligament. Jose is expected to be ready to ramp up activity during spring, but it will definitely effect his attempt to win a big league roster spot. Ramirez hurt the thumb sliding in a winter game in late November. Among all the "talk" that was present over the past week at the winter meetings was the hogwash about Justin Masterson. Of course when there are "rumors" that get out that the Indians are listening in on offers for Masterson, it doesn't mean they want to trade him. It could mean a lot of things. It doesn't mean they definitely are not trading him, but the point is, you can't say for sure. Simply put, the whole rumor mill thing is a bunch of hearsay and until something is official, especially during that week, you can't take it for much more than the paper it is written on. It could mean the Indians are simply getting offers for Masterson and listening to them (as they should and as they likely were, why would you not listen to how much teams value your top pitcher?) or it could mean they are thinking of trading him. Either way, the Indians made it completely clear to Masterson that they intend on keeping him. 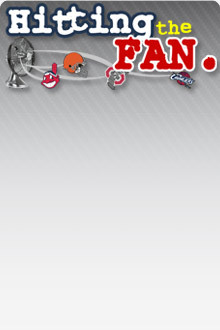 "I told him whether he liked it or not, he's not getting rid of us," Francona said on Wednesday at the Winter Meetings. "I said, 'Knowing you, I doubt you're reading this.' And he goes, 'You're right, but my mom might.' So I said, 'Well, tell her you're not going anywhere.' I thought it was getting a little out of hand." The Indians did not select anyone, nor did they lose anyone in any phase of the Rule V Draft. I'm sure everyone in Cleveland was a little jealous when the Rangers selected Seattle QB Russell Wilson. Why didn't the Indians think of that and then trade his rights to the Browns? I'm sorry, I need to stop joking around with you guys. I know it's fragile. Read more from Nino on The Tribe Daily, his own Indians blog. Don't miss all the fun, photoshopped Indians players, and LOLTribe ridiciulousness.